Can be separated into one twin and one full size bed. Please keep in mind that the top bunk foot board will have the gap that is the entryway for the ladder. End ladder for easy access to the top bunk. The end ladder can be on the right or the left, at the front or back. 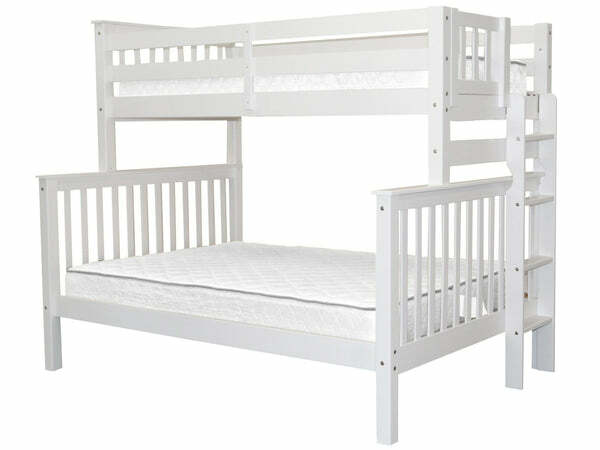 Sale is for Twin over Full Bunk Bed only - excludes Mattress. 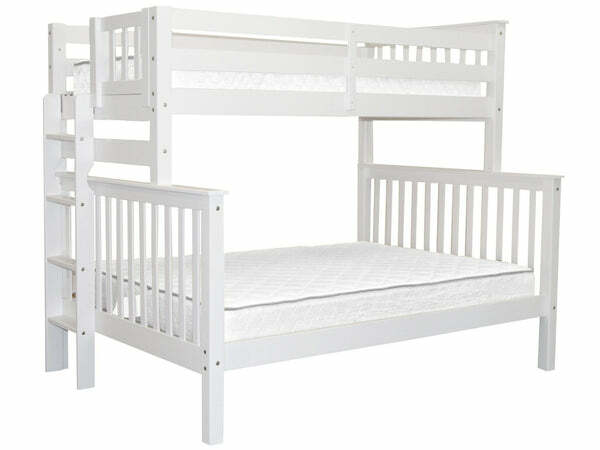 Set includes (4) Side Rails (2) Head Boards (1) Foot Board (28) Wood Slats (1) Center Support for Full Bunk (4) Guard Rails on both sides for the top twin bunk and (1) End Ladder. Can you tell me the depth of the top bunk with side rails? I'm trying to make sure I order the appropriate size/depth of mattress. Thanks! Thank you for your interest in our products. The top of the slat to the top of the guardrail is approx. 15 1/4 inches. 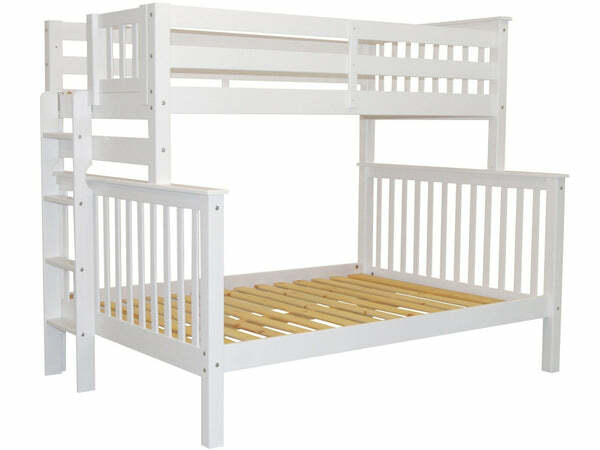 For safety of the top bunk the mattress and foundation combined should not exceed 9 inches thick.